Home /Social Media Marketing » How do you start a social media campaign? Many people ask the question on how they can start a social media campaign for their business. Where do you start? Do you create a Twitter profile? A Facebook Fan Page? A dedicated YouTube channel? Even though these are very good Web 2.0 channels, never start a social media campaign by just creating your profiles with no plan behind it. The first step for any business starting with a social media campaign is to know what is currently being said about them online. How does your customers feel about your brand? Are there any discussions about your brand already happening online? What are your competitors up to? Do they already have a social media presence? A wide range of social media monitoring tools are available that you can use to respond to complaints within a couple of minutes after the complaint has been posted. By actively monitoring social media inside your company can increase your reputation and enhance your credibility to helping customers. By reacting quickly to criticism you are more likely to convert complaints into product sales. Conversations are happening online in all kinds of places. It’s important to understand how to get in there, and how to listen where the conversations are happening. Twitter – Twitter is vital for businesses to pay attention to what is being said about them on this micro-blogging service. Use Twitter’s real time search engine to find quick updates. 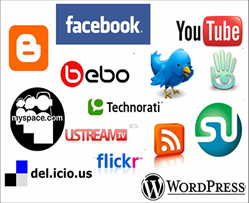 Technorati – Technorati is one of the best options for tracking social media sites. Custom RSS feeds lets you find quick updates on any blog that utters your company name. del.icio.us – More people are sharing their bookmarks online. RSS feeds make it easy to track whenever someone bookmarks a web page that includes mention of your company. Google Alerts – It lets you track web, blogs, news and groups for any phrase you want. (Free). Brandwatch – This tool combines alerts combined with data analysis. BuzzMonitor – It is an open-source social media aggregator that you host on your own web server. Software downloads are free. Developed by The World Bank.